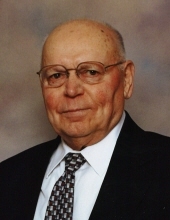 Lloyd F. Frank, age 86 of Lancaster, WI, passed away Sunday April 7, 2019 at Atrium Post Acute Care in Lancaster. He was born August 6, 1932 in Bellevue, Iowa, the son of Albert and Hilda (Becker) Frank. He proudly served his country stateside in the United States Army from 1953 to 1955. On February 23, 1957 Lloyd was united into marriage to Carma D. Michel. In his early years, Lloyd worked for farmers in Iowa and Illinois, where he learned many farm practices that would continue in his agricultural career. In 1971 Lloyd and Carma moved to a farm in Patch Grove township that would become the Frank Family Farm. Lloyd and Carma implemented many progressive practices, earned superior milk awards, and were great stewards of the land. He was a member of St. Clement Catholic Church in Lancaster, past member and board president of St. Mary's Catholic Church in Bloomington. Lloyd was also a member of the Abraham-Hickok-Wetmore American Legion Post #148 of Bloomington. In 1989 they moved to Lancaster and were he was employed at Land's End for over 13 years. Lloyd enjoyed fishing, wood working, traveling and volunteering at the Grant County Thrift Shop. He dearly loved spending time with his family. Surviving is his loving wife Carma; two daughters: Jean (Terry) Mergen and Annette (Dennis) Knapp; six grandchildren: Catrina (Jason) Thiry, Candy (Jason) Baker, Beth (Curt) Cummins, Mike (Stephanie) Knapp, Katie (Brian Webb) Mergen, and Adam Mergen; 11 great-grandchildren: Spencer and Hudson Thiry, Preston, Peyton, Olivia, and Claire Baker, Emily and Ben Cummins, Maya, Carter and Braxton Knapp; his siblings: Arlene Frank, Betty Gonner, Marvin Frank, Phyllis ( Merlin) Wienen, Gary Frank, Ruth (Donald) Busch, Elsie Frank, and Kenneth (Sandy) Frank; and many nieces and nephews. Lloyd was preceded in death by his sisters-in-law: Tiny and Mary Lou Frank; and a brother-in-law, Milton Gonner. Funeral services will be held on Thursday, April 11, 2019 at 10:30 a.m. at St. Clement Catholic Church in Lancaster, with Fr. William Vernon officiating. Burial and military honors will be in St. Clement Cemetery, rural Lancaster. Family and friends may call on Wednesday, April 10, 2019 from 4:00 p.m. to 7:00 p.m. at Martin Schwartz Funeral Home & Crematory, 1234 South Madison Street, Lancaster, where a 3:45 p.m. parish rosary will be prayed. Family and friends may also call on Thursday, from 9:30 a.m. until time of services at the church. In lieu of plants and flowers, a Lloyd F. Frank memorial fund has been established. Martin Schwartz Funeral Home & Crematory in Lancaster is assisting the family. To plant a tree in memory of Lloyd F. Frank, please visit our Tribute Store. "Email Address" would like to share the life celebration of Lloyd F. Frank. Click on the "link" to go to share a favorite memory or leave a condolence message for the family.